Everyone has had this wonderful recipe. It is Bob’s favorite so I am just documenting it for the girls. So some day when I am gone they can make it for him. HaHaHaHa No really, it is so good, and if you have never made it, you should at least once. It is so easy and your family will love it. Makes a lot!!! I freeze half of it right away. Or take it over to the neighbors. The key to this cake is having the right size pan. It is worth it to get one just for this recipe. (12X18 jellyroll pan) Set the icing butter out on the counter to come to room temp while you are making the cake batter. 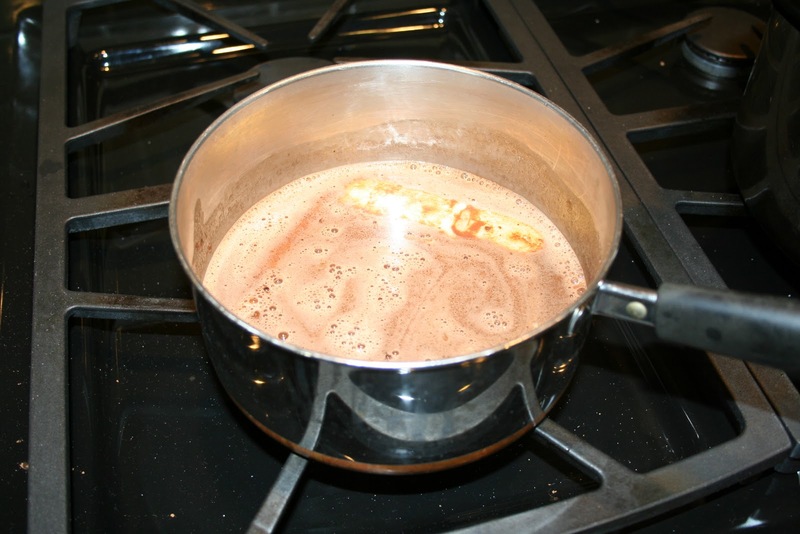 In a sauce pan on top of the stove, bring butter, water and cocoa to a boil. Remove from heat and add without cooling, sugar, stir to dissolve. Add flour, soda and salt and whisk until lumps are gone. 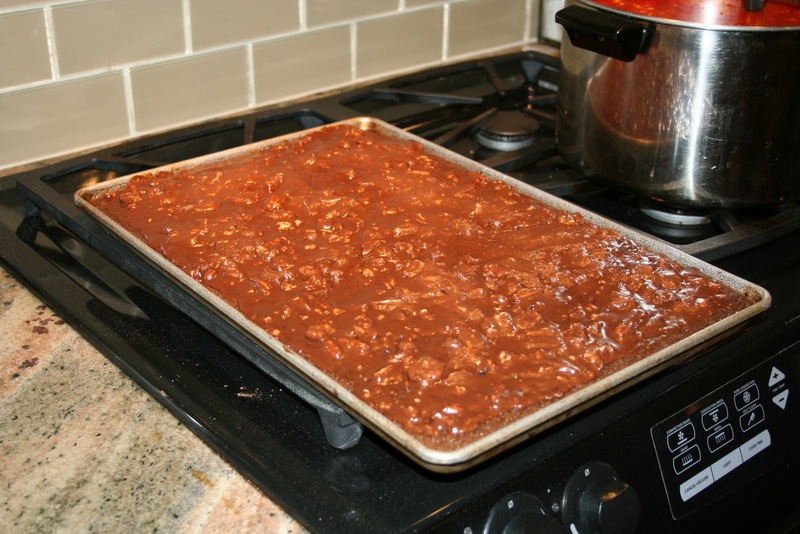 While the cake is baking, make the icing and have it ready when the cake comes out of the oven. In a bowl with a spoon, mix together the butter (not melted), and rest of ingredients until smooth. Takes a little elbow grease. Stir in pecans. When the cake comes out of the oven, drop icing by tablespoons onto cake. There will be about 20 small mounds of icing on top of the cake. Allow to melt about 5 minutes then very gently spread over cake. If it is not easy to spread let it melt a little longer. Try it for Valentine’s day. Share a little love with the neighbors.